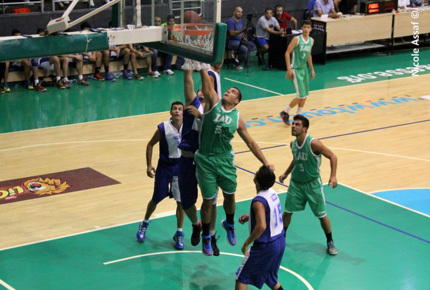 LAU Captains win the University Men’s Basketball Championships for the fourth consecutive year. Up until a few years ago, the Captains were considered to be the underdogs in the tournament. Team member Mathieu Dib credits the coaches, teamwork and the other players for the win. “Determination, togetherness, ethics and hard work are the ethos of the LAU Captains,” says Joe Moujaes, director of athletics at LAU Byblos and coach of the LAU Byblos varsity basketball team. 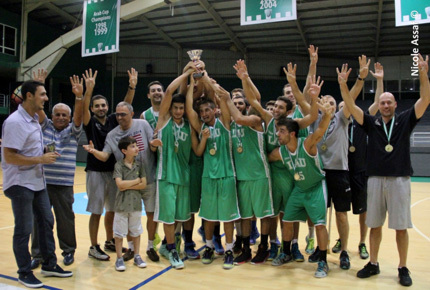 LAU took home the winning trophy for the fourth year in a row. However, things haven’t always been so pleasant for the team. Up until a few years ago, the Captains were the underdogs in comparison to the other teams they were competing against. The tide started to turn when the team underwent an attitude shift. “Everything changed when we started to believe in each other and recruit young talented players who were ready to play as part of the unit, and not great athletes who only cared about personal glory,” Moujaes says. Four years ago the Captains won their first University Men’s Basketball Championship. “We learned to never give up and we practiced harder and harder,” says 21-year-old Mathieu Dib, a team member and fourth-year civil engineering student at LAU. “Winning is the best possible feeling— every time you win, you want to win again and again, the feeling is addictive. Milo Abou Jaoude, Johnny Nemr, Tarek Dagher, Elie Chamoun, Karam Mechref, John Assi, Marc Korjian, Guy Abou Antoun, Karim Daher, Mathieu Dib, Ziad el Ali and Omar Ayoubi. Staff: Amir Eid, Sarkis Korjian, Joseph Bou Younes and Joe Moujaes.